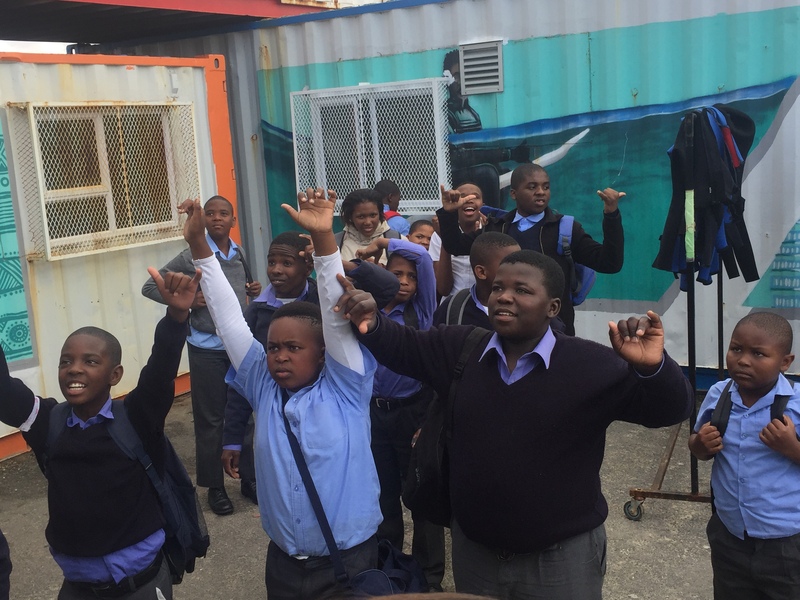 Noluthando School for the Deaf is situated in Site B, Khayelitsha and has an autism unit of 80 learners. Learners with Autism Spectrum Disorder (ASD) often present ongoing social-communication problems that include: interacting with others, repetitive behaviours, verbal communication, limited interests or activities, and sensory integration issues. These symptoms subsequently impact school performance as well as home life. Due to the socio-economic status of the children at Noluthando there are further challenges including poverty, trauma and social exclusion, which can exacerbate their mental state. 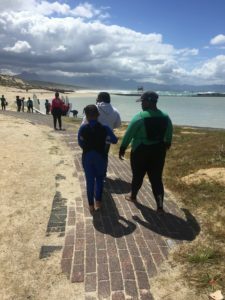 At the beginning of 2017, a student at the University of Cape Town facilitated an introduction between Noluthando and Waves for Change (W4C), to discuss the possibility of piloting the participation of autism learners in to the W4C surf therapy programme. With a growing body of evidence supporting surf therapy as a legitimate tool to alleviate symptoms of mental health, the purpose was the explore the feasibility and short-term outcomes of W4C’s surf therapy programme on a different target group. 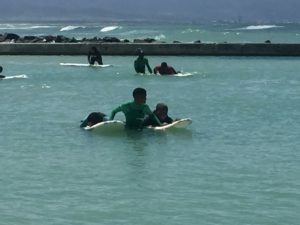 In August 2017, 18 learners from Noluthando were enrolled in a 10-week surf therapy programme based at the W4C site at Monwabisi beach, Khayelitsha. 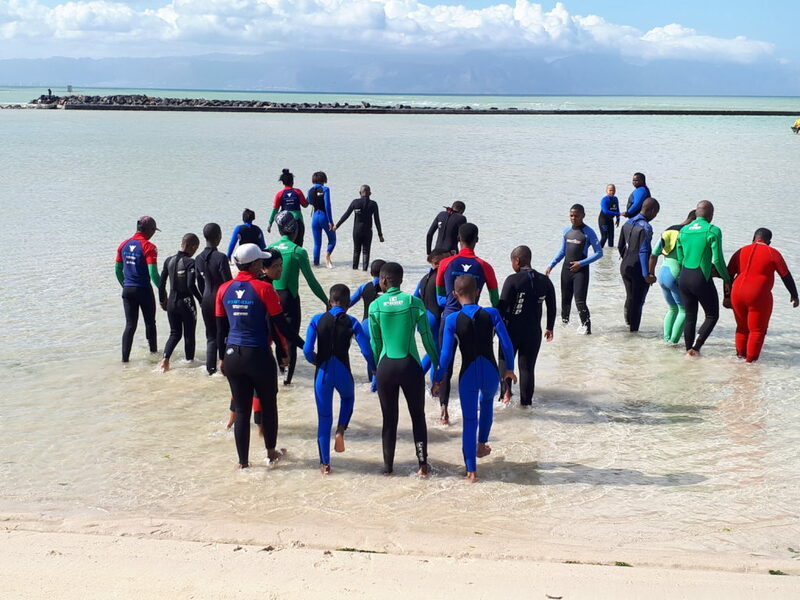 The pilot programme was set up to provide learners with caring adults, in the form of surf coaches and mentors; a safe space, in the form of the beach; access to a challenging but fun task, that was surfing and/or swimming in the sea; plus, weekly surf therapy sessions with specific teachable learnings including for example, pair floating and calming down exercises on the beach. W4C coaches were equipped with training on how to handle and react to certain traits of autism however, they were also encouraged not to modify the programme too much from standard delivery. One month into the pilot, it became evident that the learning was twofold. 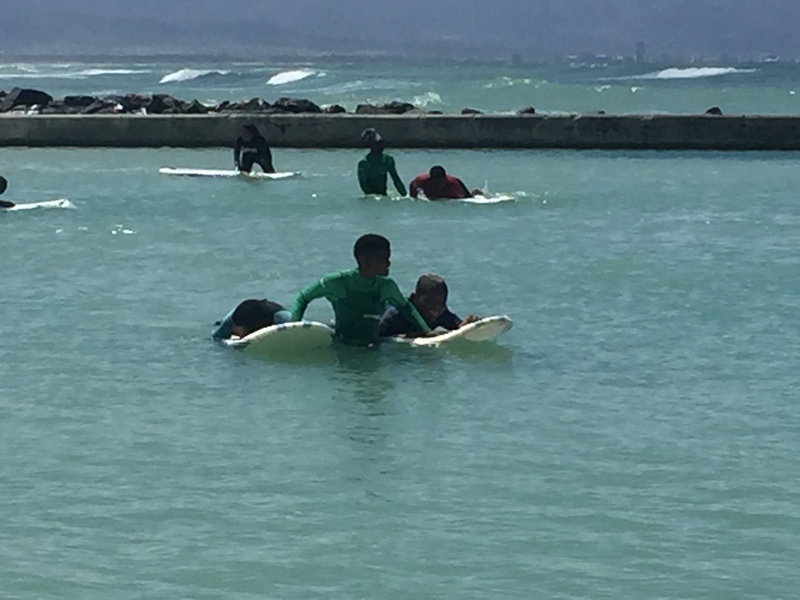 Not only were the children from Noluthando experiencing surf therapy for the first time, working with children on the autistic spectrum was a first for the W4C coaches and brought its own findings. “Because the children have very little/no sense of danger, we have to be very strict and observant, as they will try to swim in deep water without realising it might be dangerous or harmful. We as a team have increased in confidence a lot, and have learnt how to adapt our coaching because each child with autism is unique, so it’s up to us as coaches to learn them well,” commented W4C coach Annalisa. Further coach feedback highlighted the importance of non-verbal communication. Some of the children in the group were non- verbal, and some were verbal but didn’t understand what was being said. This encouraged the use of pictures and hand-gesture demonstrations. The” bananas” hand sign – a trademark gesture in the W4C programme – proved to be particularly effective as the children identified it as time to go surfing and got excited. A lot of the challenges such as fighting, high levels of emotion and not listening to instructions, mirror the challenges the coaches face with the other children participating in the main program. The coaches are adept in dealing with these behaviours and use their experience and skill set, to regulate behaviour in the same way they would with the regular participants. Introducing the W4C Kilo – a ‘follow-the-leader’ style, group energizer, performed in a circle – also proved effective. Call and response, copying actions and group activities are good for the children, as they generally choose to be very independent and don’t interact with others easily. A highlight was when W4C coach Luxolo, who had been working patiently and in a structured way with two children who were scared to get their faces wet, got them to kneel down in the water, and all together splash their faces. By the end of the session, the children were soaked and stoked! At the end of the ten weeks it has become evident that surf therapy has been beneficial to the autism learners. Although the effects in the classroom and home environment must still be monitored, the feedback from therapists at the Noluthando has been positive, reporting more confidence, improved social interaction, an increase in communication initiation, increased verbal output, an improvement in peer relationships, and less aggressive outbursts. Following the success of the pilot, the partnership with Noluthando will continue as a permanent programme going into 2018. The continuation will allow for increased understanding and longer-term effect. Supported by operational and contextual research, W4C will work with Noluthando staff and mental health professionals to adapt the existing W4C curriculum specifically for differently-abled children – such as those on the autism spectrum. The team at Waves for Change is committed to work with partners like Noluthando and other specialist organisations, to research the effect of surf therapy on different target groups with the goal to positively impact as many lives as possible as a result.